Alex Hales celebrates his century with captain Eoin Morgan. 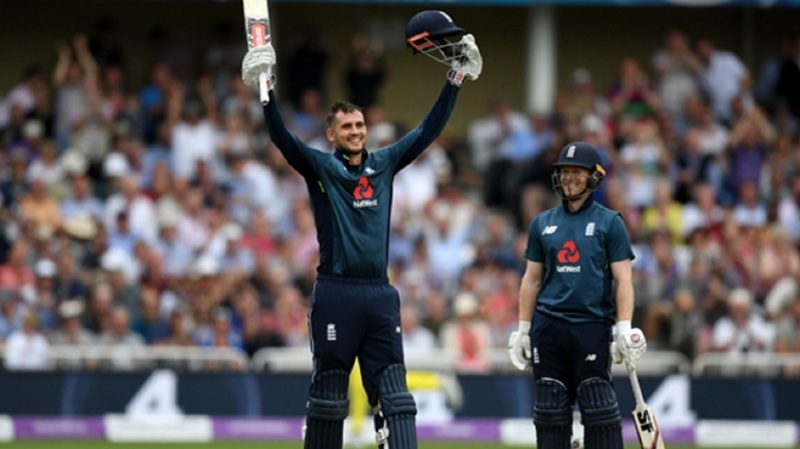 England put on a batting masterclass, shattering ODI records in the process, as they thrashed a shell-shocked Australia by 242 runs on Tuesday to clinch the five-match series in style. 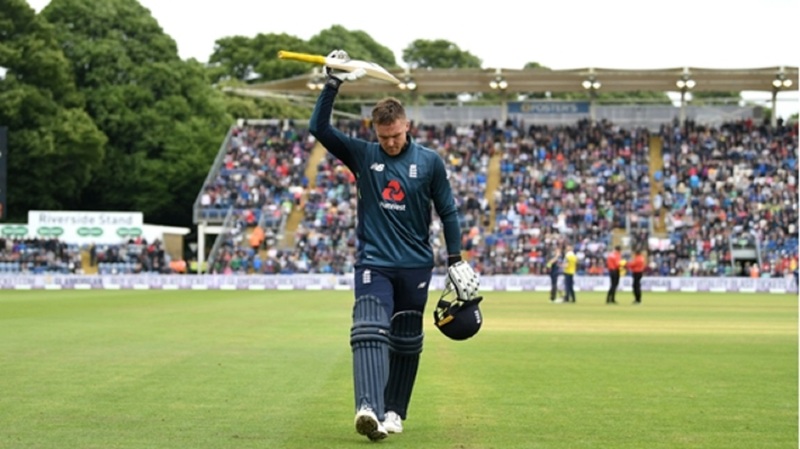 Eoin Morgan's side had posted its highest 50-over total against Australia in this format to take a 2-0 lead last time out in Cardiff, but they blew that score of 342-8 out of the water with a scintillating display at Trent Bridge. 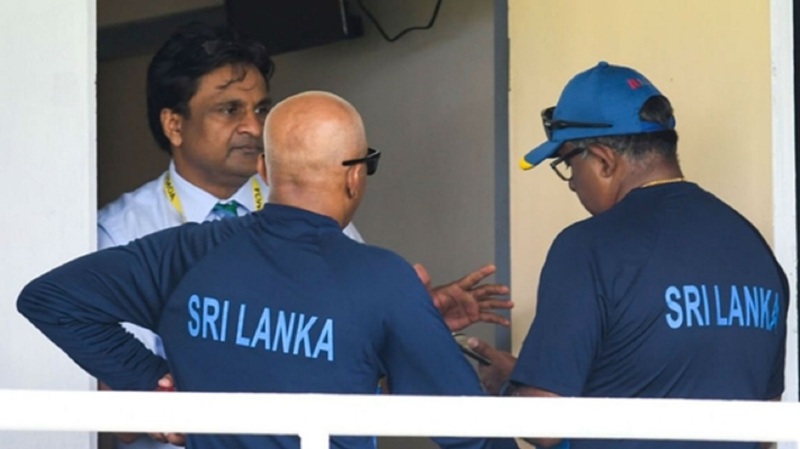 England amassed 481-6, taking them beyond their own world record of 444-3, made against Pakistan at the same venue in 2016, to ensure victory was merely a formality, the tourists never threatening in their reply. Jonny Bairstow (139 off 92 deliveries) and Alex Hales (147 off 92) led the way, while captain Morgan's speedy knock of 67 was even more significant as he became England's leading all-time scorer in the format, surpassing Ian Bell's tally of 5,416 runs. Having struggled mightily with the ball, including Andrew Tye going for 0-100 from nine overs, Australia managed just 239 all out. 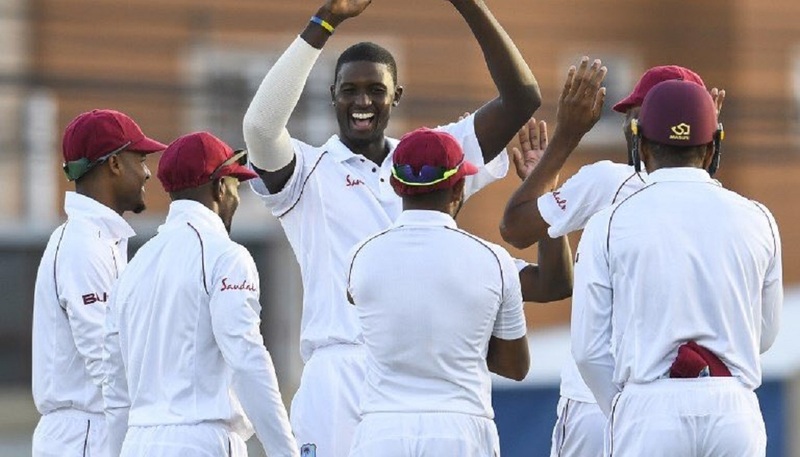 Only Travis Head (51) recorded a half-century, while the last three wickets fell for nine runs, as the tourists were dismissed in 37 overs to slip to their heaviest defeat in terms of runs. It was clear from the off that England were in the mood to quickly wrap up the series with two games to spare, Bairstow and Jason Roy (82) putting on 159 for the first wicket. A run-out was Roy's undoing, yet there was no slowing the stream of boundaries as Hales came to the crease and built another big partnership, already bringing their total against Pakistan - in which Hales was the driving force - into view. The bid to better that score only really faltered when Ashton Agar dismissed Bairstow, ending a stand worth 151, with Jos Buttler managing a comparatively modest 11 runs off 12 balls. However, Morgan - back in the XI after missing the win in Wales due to a back injury - ensured the previous record was passed with ease. Hales and Morgan were together at the crease when they moved beyond 444 and, while they soon departed in consecutive balls, England's late onslaught capped a memorable team performance with the bat.